Indital USA’s Panel collection offer a great way to take any simple wrought iron project and turn it into an upscale vision of beauty. 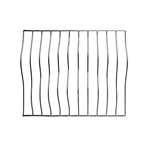 Many customers who have shopped through our distributors for years have purchased these panels for their wrought iron decor or wrought iron patio furniture. Whether you’re looking to create a decorative gate or a balcony that is reminiscent of Romeo and Juliet, your options are numerous. 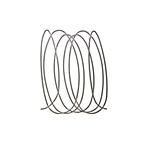 With Indital USA’s wrought iron railings and accompanying parts, your vision of wrought iron grandeur will not only become a reality, but will be a vision of wrought iron art. 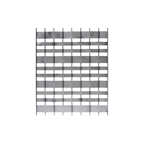 Indital USA’s panels fall into 3 main categories: hammered, ornate and modern. 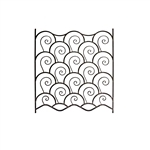 Our Hammered panels showcase wrought iron in various twists and turns that will leave you with the impression that you are in the presence of a true work of art. Our Ornate panels offer grand displays of wrought iron work. They immediately draw the viewer’s eyes in and make the person feel as though they have stepped into another time. Our Modern panels are steel and wrought iron stair railing pieces with a modern touch. 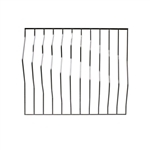 These panels offer a present day approach to wrought iron work while maintaining old-world charm. Please note that some panels are NOT double faced. 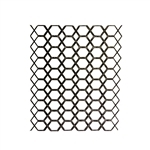 To explore additional double faced panels, please see the Metal Art & Decorative Parts section of our website. 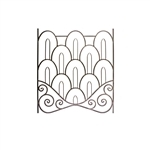 Visit the Contact Us section of our website if you have questions about our panels or other parts for wrought iron stair railings. At Indital USA, we are dedicated to assisting our customers in making their wrought iron railings, staircases and other projects a reality. To read what our customers are saying about us, please click on the Customer Reviews subsection found in our Get the Facts section of our website. Scroll - Plain W/Rosettes 9/16" Sq 20" X 42-1/2"
So Oval Panel W/ Roses 9/16" Sq. 20-1/4" X 26-3/8"
Panel Hammered W/Flowers 16-5/16" X 1/2" X 1/4"
S-Scroll W/Leaves - Left 14-3/6" X 31-7/8"